Offset is doing everything possible to protect his woman. Since last year there's been more than couple of backslash Pointing on Cardi b yet migos are are good on positive relentless just make sure Cardi b gets the best out of Rival. There's this video cast into the web and is developing a great poke fun as well backslash on please me rapper. The clip video sees the Grammy woman saying “drugged and robbed men.” Source told Amahiphop that Cardi B‘s critics went into her old archive and dug up a video where she boasts about “drugging and robbing men.” The clip went viral on social media earning her a swift backlash from some folks who think that she is setting a terrible example for her young fans. The Bronx rapper has since released a full-length statement apologizing for the video while adding that she had to do things in the past that she wouldn’t do now to feed her family. 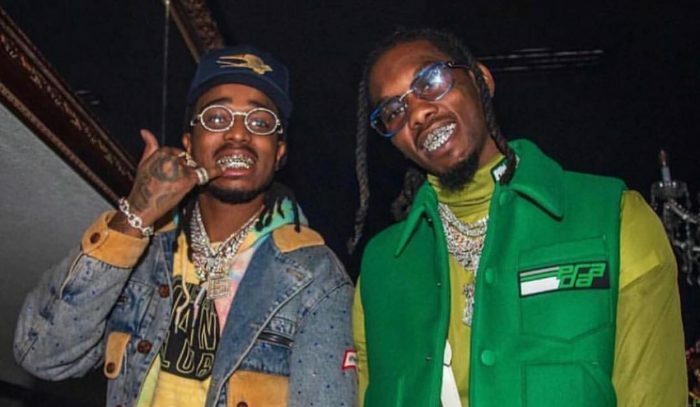 “RIDE OR DIE FOREVER LOVE YOU NO MATTER WHAT’S GOING ON I LOVE YOU BEST MOTHER AND HUSTLER I KNOW.” Now, just after that Quavo also added new comment on same issue about Cardi b but he admitted that he too is riding with her on this one.